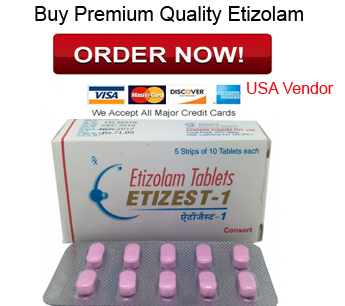 Etizolam is a drug marketed under the names Etilaam, Sedekopan, Pasaden, Etizola, Etizest, and Depas. It is an analog of benzodiazepines. The molecule that makes up etizolam differs from benzodiazepines because the benzene ring is replaced by a triazole and thiophene ring that have been fused. It is an anxiolytic, amnesic, hypnotic, anticonvulsant, skeletal muscle relaxant, and a sedative. This drug can be used to help treat issues like this. Contact your doctor and ask if this drug might be the right choice for you. Here is all the information you might need to know about Etizolam and the effects it has on you. What is Etizolam and What is etizolam tablet used For? 1 What is Etizolam and What is etizolam tablet used For? 3 What is the Etizolam Half-life And Etizolam Duration? 4 Is It Possible to Overdose on Etizolam? 5 What Are the Symptoms of Etizolam Overdose? 6 What is the Correct Dose of Etizolam? 7 What are the Effects of Etizolam? 8 What are the Side Effects of Etizolam? 10 What Effects Linger After Taking Etizolam? 11 Does Etizolam Addiction have the Potential? 12 What Side-Effects are Presented With Etizolam Use? 13 What are the Signs of Etizolam Withdrawal? 14 What are the Routes of Administration for Etizolam? 15 Where To Buy Etizolam? Etizolam is similar to benzodiazepines. They are pills that are prescribed in many countries for the treatment of anxiety. The medication is a thienotriazolodiazepine that has anticonvulsant, amnesic, hypnotic, anxiolytic, and sedative properties. It is prescribed for the short-term treatment of insomnia, anxiety, and panic attacks. Etizolam is legal in some areas and illegal in others. In Germany, Etizolam was made illegal in July of 2013. Poland considers it a controlled substance as well as Switzerland. In the United Kingdom, Etizolam is considered a Class C drug since May 31st of 2017. It is now illegal to produce, supply, or possess this drug. In the United States, legality differs from state to state. It is controlled in Georgia, Virginia, Mississippi, Florida, Arkansas, Alabama, and Indiana. Federally, it is unscheduled making it legal to possess and use for research purposes. Japan has restricted Etizolam since October of 2016. What is the Etizolam Half-life And Etizolam Duration? The half-life of Etizolam is approximately 3.5 while plasma levels peak between 30 minutes and 2 hours. The total duration of the chemical is between 5 and 7 hours. Is It Possible to Overdose on Etizolam? It is possible to overdose when Etizolam is taken at extremely high doses or if it is combined with depressants. It is extremely dangerous to take it with barbiturates and alcohol which potentiate each other’s effects. Overdose is a medical emergency that can result in coma, brain injury, or death if not treated quickly and properly. What Are the Symptoms of Etizolam Overdose? The symptoms of overdose present with severe thought deceleration, confusion, respiratory depression, slurred speech, delusions, coma and, in the most severe cases, death. They can be effectively treated in a hospital environment by using flumazenil. What is the Correct Dose of Etizolam? Etizolam Dosage is different for each individual. The threshold dose is between 0.2 and 0.5 mg. A light dose is considered to be between 0.5 and 1 mg. The common dosage is around 1 to 2 mg. A strong dose is between 2 and 5 mg. A heavy dose is anything above 5 mg. Etizolam dosage for sleep is 1-2mg before bed each night. This list of effects will rarely ever occur all at once but a heavier dose will increase the presence of these effects. The physical effects of Etizolam include sedation, physical euphoria, motor control loss, muscle relaxation, respiratory depression, seizure suppression, increased libido, dizziness, appetite enhancement, and temporary erectile dysfunction. Cognitive effects of Etizolam include a variety of things. It helps to suppress anxiety, lessen your inhibitions, euphoria, compulsive redosing, the suppression of memory, delusions of sobriety, suppression of information processing, suppression of analysis, the inflation of the ego, the deceleration of thoughts, suppression of motivation, suppression of emotions, and sleepiness. Etizolam 0.5mg & 0.25mg both have same side effects but its totally depend on magnitude of dosage. Higher the magnitude will cause more effects. What Effects Linger After Taking Etizolam? Some effects are present after taking Etizolam for a period of time. These include the return of anxiety, the suppression or potentiation of dreams, a residual sleepiness, the continued deceleration of thoughts, disorganization of thoughts, and irritability. Does Etizolam Addiction have the Potential? Etizolam has been found to be extremely psychologically and physically addictive. Tolerance has been shown for its anticonvulsant properties at a lower rate than with benzodiazepine drugs. It does, however, develop a tolerance when it comes to its sedative and hypnotic effects. This can happen in as soon as a few days of continued use. When not using the medication your tolerance should return to normal in between 1 and 2 weeks. Some cases may take longer depending on the duration and the intensity of the person’s long-term usage. A study that compared Etizolam to other current treatments for anxiety showed that the drugs all retained effectiveness for a couple weeks. Etizolam then became more effective from the second week to the fourth week proving a reverse tolerance. When administering 0.5 mg of Etizolam twice a day it did not induce any cognitive deficits over a period of three weeks when compared to a placebo. What Side-Effects are Presented With Etizolam Use? One side effect of prolonged use of Etizolam is Blepharospasms. This is an uncontrollable twitching in the eye. In very rare cases patients saw skin lesions called erythema annulare. It may reduce your REM sleep. Etizolam has also shown similar characteristics to drugs in the class tricyclic antidepressants. What are the Signs of Etizolam Withdrawal? There are withdrawal and rebound symptoms that occur after abruptly stopping use after a few weeks of regular dosing. Usually, it is best to taper yourself off of the medication if possible. It is notoriously difficult and can potentially be life-threatening for anyone who regularly uses it. If you discontinue use without lessening the dose over a period of a couple of weeks, it can be even harder. There is an increased risk of seizures and you should avoid any medication that lowers the threshold of seizures during withdrawal. Etizolam has the potential for abuse and cases of dependence have been documented in some professional medical literature. There are, however, conflicting reports presented by the World Health Organization, or WHO, made in 1991 that disputes these claims of abuse potential. What are the Routes of Administration for Etizolam? The routes of administration for Etizolam include oral, sublingual, and rectal. Bioavailability of these different routes is similar and at a high percentage above 90%. It is theoretically also possible to use Etizolam by insufflating and using it intravenously. There are many research chemical vendors online that supply Etizolam to countries and states where it is legal. You should research the website you plan on ordering from to make sure that they are legitimate. Many research chemical vendor websites are scams and prey on those hoping to find relief. On these websites, the drug is sold for research purposes only and are not to be consumed. Various websites have different rules as to where they will ship to depending on the legality in your area and the preferences of those that shop the chemicals. These sites distribute Etizolam in blotter form and in pill form that dissolves in your mouth. There is a community of people who share their experiences with various research chemicals including Etizolam. The most popular is the Erowid Experience Vault. Individuals send in detailed reports of experiences they have had with the chemical including information about how much they took, the effects it had on them, and what route they used to administer the drug. If you plan on taking this chemical, you can gain a wealth of information about it from this and other similar resources. Etizolam has been used to help with the withdrawal symptoms of alcohol and opiate abuse. Administering this drug to patients with these issues can help solve issues involving anxiety and sleep. Talk to a doctor about whether a medical detoxification program might be best for your situation. It is possible to test for the presence of Etizolam in the blood and urine. It will, however, not show up on a standard drug test and must be tested for specifically. Metabolites of Etizolam have a half life of slightly longer than the drug itself and is what the specific drug test will look for in your system. At just over 8 hours about half of the metabolite will be left in your system as compared to the 6 hours that the Etizolam takes to decrease this amount. When used properly, Etizolam can be a helpful medication to help solve some issues you are having. You should avoid prolonged use at high doses because of the potential for physical and psychological withdrawal. It is able to produce a reduction of the time it takes to fall asleep, an increase in the total sleep time, and a reduction in how many times you awaken during the night. If this sounds like a drug that might help you, contact a medical professional to see what they can do for you.